Features: DPST contact type, 3 positions rotary selector action, panel mounting. 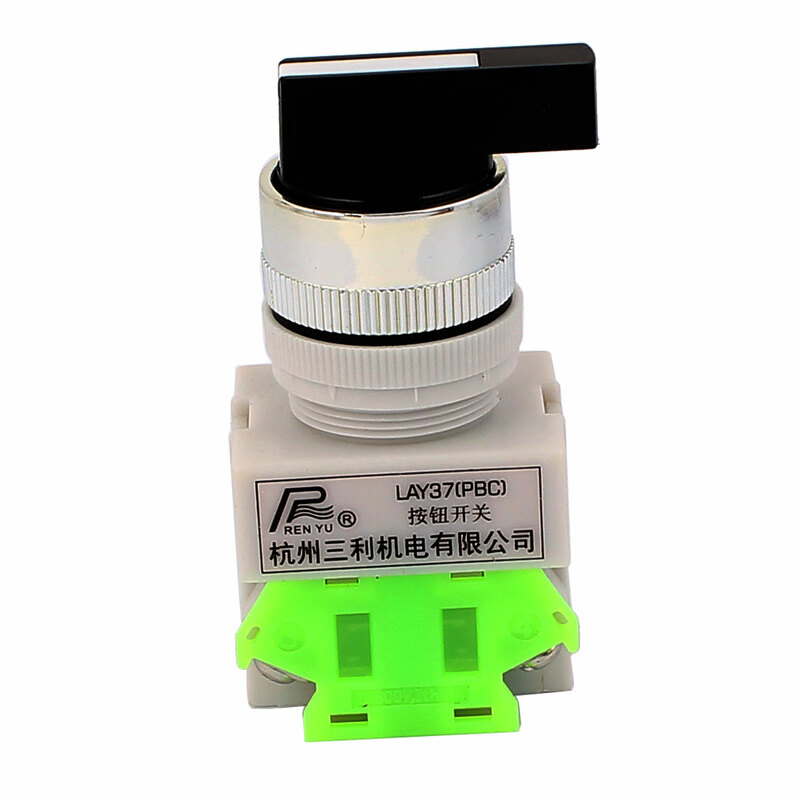 Widely used to control the electromagnetic starter, contactor, relay and other automatic control electric circuits. Panel Cutout Diameter: 24mm/0.94"; Fit Panel Max. Thickness: 5mm/0.2"; Button Diameter: 23mm/0.9"